We are almost ready for Year 2 of Math On-A-Stick at the Minnesota State Fair. Last year’s favorites are back. We have a few delightful new exhibits. The fair is a bit more than a week away, and we have several shifts that still require volunteers. Sign up for a shift. Sign up for a second (third? fourth?) shift. Forward this post to everyone you know! Tell your spouse he/she is gonna need to rally for the cause. Sunday, Aug. 28 5:00—8:15 p.m.
Monday, Aug. 29 2:15—5:15 p.m. and 5—8:15 p.m.
Wednesday, Aug. 31 8:45 a.m.—11:45 a.m., 2:15—5:15 p.m. and 5—8:15 p.m.
Thursday, Sept. 1 11:30 a.m.—2:30 p.m., 2:15—5:15 p.m. and 5—8:15 p.m.
Friday, Sept. 2 11:30 a.m.—2:30 p.m. and 2:15—5:15 p.m.
Saturday, Sept. 3 11:30 a.m.—2:30 p.m. and 2:15—5:15 p.m.
Sunday, Sept. 4 8:45 a.m.—11:45 a.m., 2:15—5:15 p.m. and 5—8:15 p.m.
Monday, Sept. 5 (Labor Day) 2:15—5:15 p.m. and 5—8:15 p.m. Need help visualizing Math On-A-Stick? Check out our photo album from last year. Or read this post from last year’s Fair. 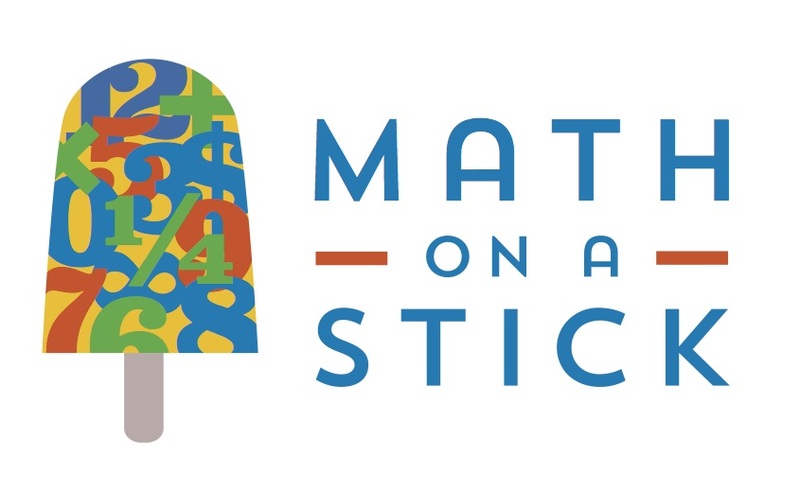 Whatever you can do to help spread the word, all of us involved in making Math On-A-Stick happen thank you! Talking Math with Your Kids has been on something of a summer hiatus as I’ve geared up for Math On-A-Stick at the Minnesota State Fair. It has been a wild ride. I have spent the last four days playing and talking math with kids of all ages for eleven hours a day. My number one message coming out of this work is Let the children play. Have a peek at our flickr photo albums to see what’s been going on. Here’s a sample (Thanks to Kaytee Reid for sharing these beautiful images). I have been paying close attention to how children behave in this space we’ve built. I’ll just write about the plastic eggs today, but they stand in as an example for all of our activities. A typical three- or four-year old will fill the cartons haphazardly. She won’t be concerned with the order she fills it, nor with the colors she uses, nor anything else. She’ll just put eggs into the carton one at a time in a seemingly random order. But when that kid plays a second or third time, emptying and filling her egg carton—without being told to do so—she usually begins to see new possibilities. After five or ten minutes of playing eggs, this child is filling the carton in rows or columns. Or she’s making patterns such as pink-yellow, pink-yellow… Or she’s counting the eggs as she puts them in the carton. Or she’s orienting all of the eggs so they are pointy-side up. The longer the child plays, the richer the mathematical activity she engages in. This is because the materials themselves have math built into them. The rows and columns of the egg crate; the colors and shape of the eggs; the fact that the eggs can separate into halves—all of these are mathematical features that kids notice and begin to play with as they spend time at the table. We have seen four-year-olds spend an hour playing with the eggs. I have observed that the children who receive the least instruction from parents, volunteers, or me are the most likely to persist. These are the children who will spend 20 minutes or more exploring the possibilities in the eggs. We adults have a responsibility to let the children play. We can be there to listen to their ideas as they do. We can play in parallel by getting our own egg cartons out and filling these cartons with our own ideas. But when we tell kids to “make a pattern” or “use the colors”, we are asking the children to fill that carton with our ideas, rather than allowing them to explore their own.